In this world you will face trials and tribulations as you pursue God’s calling on your life. Whenever you set out to do anything that will bring glory and honor to God remember that the devil is also watching and listening when you make your declaration. 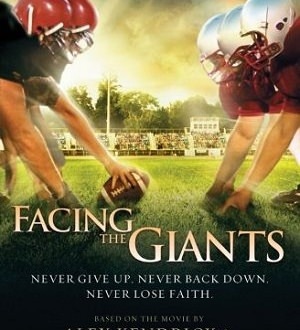 The book, “Facing the Giants” is based on the movie of the same name by Sherwood Baptist Church in Albany, Georgia United States. It is a story of overcoming fear with faith and the movie is definitely worth watching to help you overcome any fear that may be affecting your life’s journey. The book is novelized by Eric Wilson and gives more insight than what you may see in the movie itself. Grant Taylor is a college football coach for the Shiloh Eagles of Shiloh Christian Academy, and has the desire to lead his team to a winning season. The challenge is that he has tried for many years but without the desired outcome. To compound his woes one of the best players on the team leaves to join a rival team which leaves the rest of the team pretty deflated and without hope for the upcoming season. He and his wife have also been trying to have a baby for four years without progress and his car keeps breaking down which makes him a laughing stock in the community. The fans and some parents of the football team are calling for his head and demanding a replacement for his position as the head football coach. No matter how hard he tries to put things right they only get worse. Maybe you have gone through a similar experience or you know someone that has. The world seems like it is against you and you see no way out of your predicament just like Grant Taylor. During those times you may dread getting up in the morning being afraid to face life and perhaps struggle to sleep peacefully because of anxiety. Whenever you find yourself going through such situations just remember that they are passing phases and that God always has a plan for your life. Grant’s breaking point happens when he is told by the doctor that he cannot have children because of him and a conversation he over hears as a group of men call for his dismissal. The only option left to him is to have faith in God and he begins to study the scriptures more intensely to get an understanding of what God expects of him. While the team’s results do not improve at all he keeps seeking the Lord to overcome fear and be obedient to what He says. The turning point comes about when a man unexpectedly shows up in His office and gives Him a word that changes his life and gives him hope and freedom from fear. It is not long until his renewed faith begins to make a difference in his life and those around him. Get yourself a copy of the book and dig right into it. It is an inspiring story that will resonate with whatever situation you may be facing today. 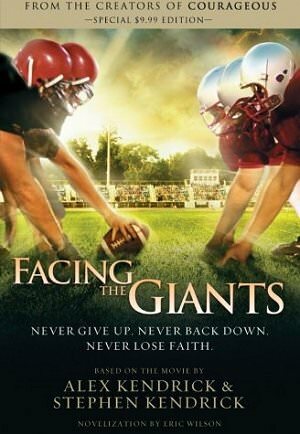 If you have read the book or watched the movie, “Facing the Giants” let us know what you thought about it and the lessons you learned in the comments below.